The time between spring and summer can be tricky in Wisconsin. The weather fluctuates quite a bit so we can't pack away winter gear yet, but we also need to have spring and summer outwear handy. The kids may not be tracking snow in the house now, but they (and the dog) are tracking mud and dirt through the kitchen. This post contains affiliate links, which means we'll earn a commission if you make a purchase. In just a few short weeks, the kids will be out of school and my home will be filled with dripping swimsuits, sleepover bags, and summer crafts. That's why I'm making the most of the time I have right now to do some deep cleaning and get the house in order for summer. Luckily for me, Grove Collaborative makes creating a healthy, beautiful home effortless and affordable. They hand-select the best natural products and deliver them (carbon offset) right to my doorstep, on my schedule. If you're already a customer, you'll receive a set of free Grove walnut scrubber sponges — perfect for scrubbing pots and pans after a Sunday barbecue. As a busy mom, I need hardworking, multitasking products. That's why I'm a huge fan of Mrs. Meyer's. 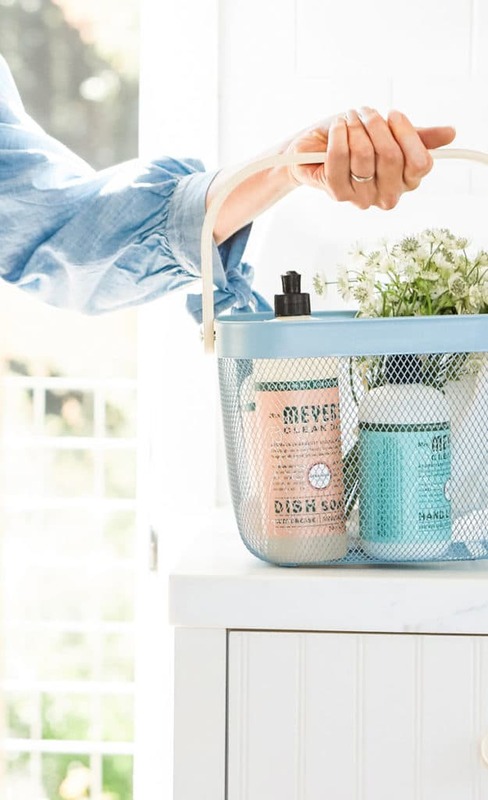 A few drops of Mrs. Meyer's dish soap can clean tile floors, degrease grill grates, and remove grime from patio furniture. 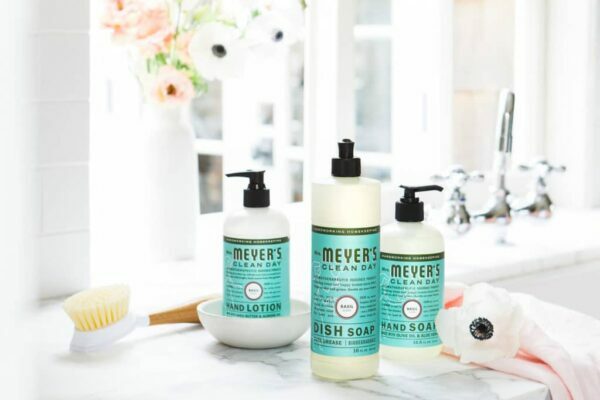 Mrs. Meyer's hand soap is tough enough for gardeners or little hands that have been playing in the dirt. And of course, the matching lotion is a necessity for skin that's dried out from cleaning or swimming in the pool. On top of being effective, it's important to me to use products I can feel proud to display. Grove Collaborative's dish brush is beautifully effective for tackling dishes on taco night but also makes a lovely sink side display. 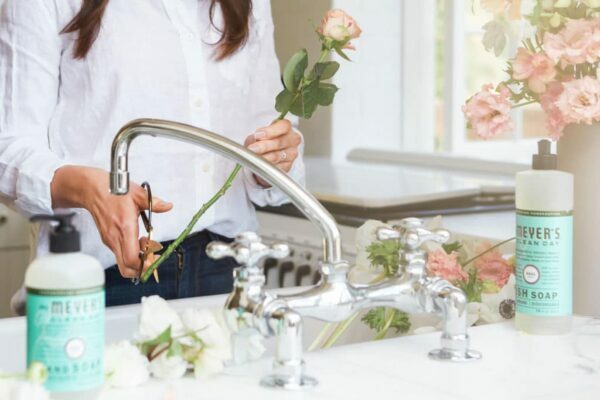 Even if guests stop by unexpectedly, I don't feel like I have to hide my cleaning products under the sink! You'll get all these amazing products for $24.41 with free shipping! Plus, once you have submitted your order, you'll be signed up for the free 60 day VIP trial. It's a great way to try out some of the perks of being a VIP like free shipping, free gifts, price matching, exclusive sales and personal service. Sign up for Grove Collaborative here. 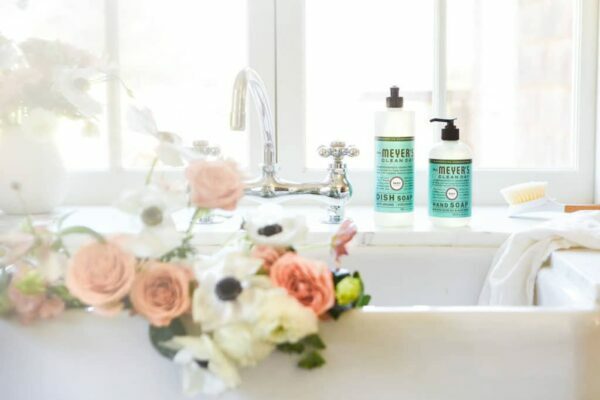 You will receive the Mrs. Meyer kit for free when you sign up!